Dr Billy Waters started as a scientist graduating with a Biomedical Science degree in 1998, and completed a postgraduate higher diploma in 1999. Developing his interest in matters medical he studied dentistry in UCC graduating with honours in Dental Surgery in 2004. While working in general dental practice he undertook postgraduate dental studies being awarded MFDS by the Royal College of Surgeons in 2009. During this time he developed an interest in dental implants and undertook a Masters in Implant Dentistry at the University of Warwick graduating in 2011. During this time he treated patients in Prof. Stuart Harding’s dental implant suite in Harley Street, London. He and his associates operate a general dental practice at the Cork Dental Clinic. When not working in general practice Dr Waters operates a specialist dental implant practice at the Cork Dental Implant Clinic in Cork. He also maintains close links Cork University Dental School & Hospital where he works as a clinical tutor, and continues to work closely with Prof. Duncan Sleeman in his implant work. Dr. Marian Cottrell BDS, NUI. MFDS, RCS. Dr. Marian Cottrell graduated with honours from U.C.C. in 2010. Best Overall Student Award and Oral Surgery Award. Before returning home to Cork she spent three years working in General Practice in London. Whilst working there she completed a course in Surgical and Implant Dentistry in the Eastman Dental Institute, London. She has also completed various aesthetic dental courses in the London Dental Eduction Centre. Dr. Cottrell was awarded a MFD from the Royal College of Surgeons in 2013. Dr. Marian Cottrell started in Cork Dental Clinic in 2013. She focuses on providing a high standard of clinical care to her patients in friendly and comfortable surroundings. Dr. Cottrell provides tailored examinations and treatment plans which are specific to patient concerns, especially nervous patients. She is happy to take the time to explain and plan various treatment options for each patient. Dr. Cottrell prioritises patient care and clinical need. Dr. Cottrell is committed to continuous professional development and frequently attends lectures and courses around Ireland and in the UK. Dr. Cottrell also assists Dr. Waters on some of his complex implant cases. Outside of practice Marian enjoys playing camogie and keeping fit. Marian has also completed dental charity work in Ghana. Dr. Peter Clune BDS, NUI. Since graduating from UCC with a BDS degree in 2012, Peter has worked on the Wirral in the North West of England. Working in a large practice, Peter gained a lot of experience treating a large variety of patients. Peter has recently moved back to Cork from the UK and is now working in our practice as Billys’ associate. Peter’s main aim is to treat people in an environment they feel comfortable in, at a pace they’re happy with. Taking time to assess a patient’s needs properly and developing a plan that serves those needs, is something he takes seriously. 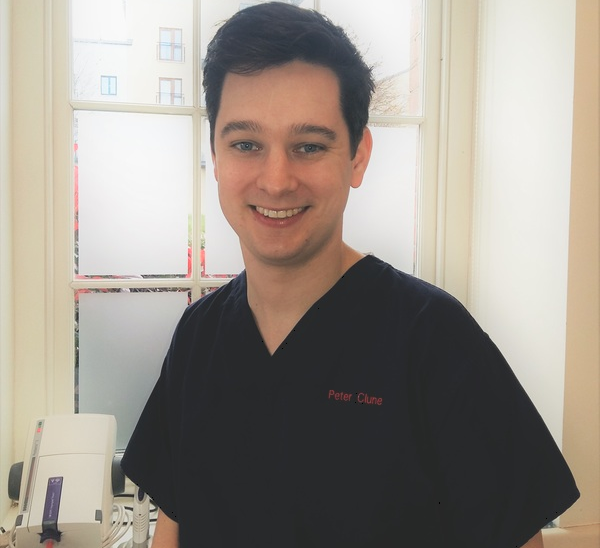 The interest in providing the best possible outcomes for patients led to Peter developing an interest in dental implants and he is currently completing an MSc in Dental Implantology in Edge Hill University, Lancashire, England. Keeping up to speed with current treatment options is important to Peter and he regularly attends lectures and courses in the UK and Ireland. He has always had an interest in horses, having previously competed in showjumping and eventing competitions. Otherwise in his free time he enjoys exercising and socialising. Dr. Annie Downey BDS, NUI. 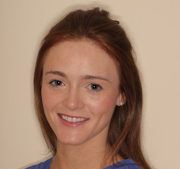 Annie graduated from University College Cork with a bachelor of Dental Surgery in 2012. Having spent some time working and travelling in Australia, Annie moved to Liverpool where she worked in both private and NHS practices for 2 years, before returning back to Ireland in 2015. Dr. Downey has joined our team as a general Dental Practitioner and is working as Marians’ associate. and will be working on a range of procedures at our clinic including general and cosmetic dentistry. Dr Kevin O’Rourke graduated in dentistry from UCC in 1986. 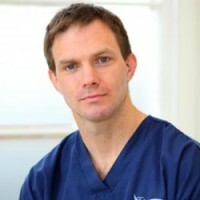 He has practiced dentistry in the South of England, France and the West of Ireland. Since 2001 he has restricted his practice to Orthodontics. Having passed the fellowship exams he has since completed a three year full time postgraduate programme. His thesis was on the perception of anterior smile aesthetics. Dr O’Rourke has been awarded both the membership in Orthodontics by The Royal College of Surgeons of Edinburgh and a doctorate in Orthodontics by University College Cork. Dr O’Rourke uses the most advanced techniques available to produce beautiful and healthy smiles in a caring environment. Dr. Caroline McCarthy qualified with honours from UCC in 2009. 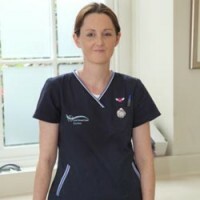 Caroline spent two years working in private practice in Kent in the UK before working in SHO positions in hospitals in Cork and the UK completing her membership exams from the Royal College of Surgeons in Edinburgh during this time. In January 2013 she started her specialist registrar training in Cork Dental Hospital and qualified in April 2016 with a Doctorate in Clinical Dentistry (Oral Surgery) and an FFD from the RCSI. It’s not all work, Caroline is a keen violin player and is a member of comhaltas. She is married and is kept busy with her daughters Roisin and Aine. 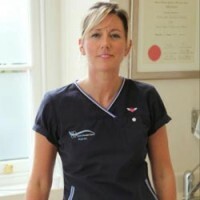 Karen qualified as a dental nurse in 2002 and has been working with Cork Dental Clinic the past six years. Her excellent knowledge of dentistry, organisational skills and pleasant mannerism has led to her appointment as Practice Manager four years ago. Patients appreciate the familiar face and personal approach that Karen displays. She continues to advance her IT skills and has been key to the development of the practice. Outside of work Karen enjoys keeping fit and socialising. 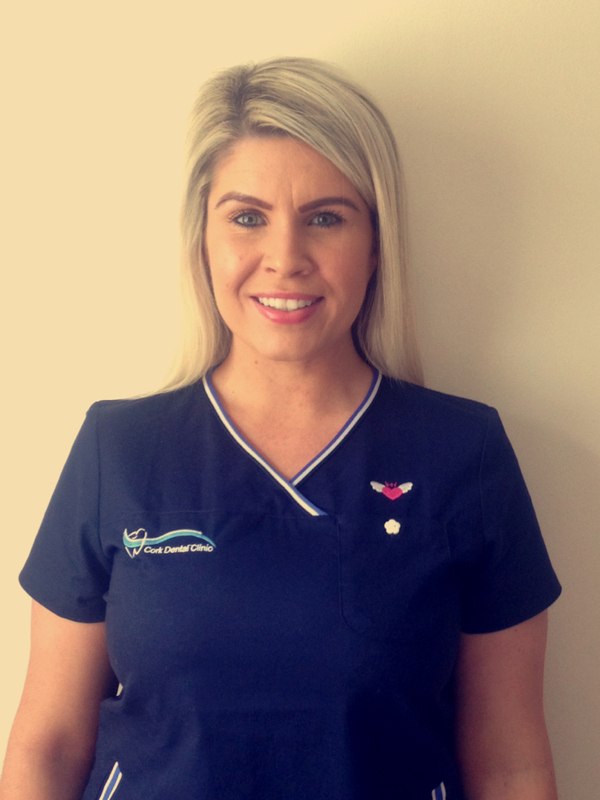 Donna has over 17 years of nursing experience and qualified with a diploma in Dental Nursing from Cork University Dental Hospital in 2002. 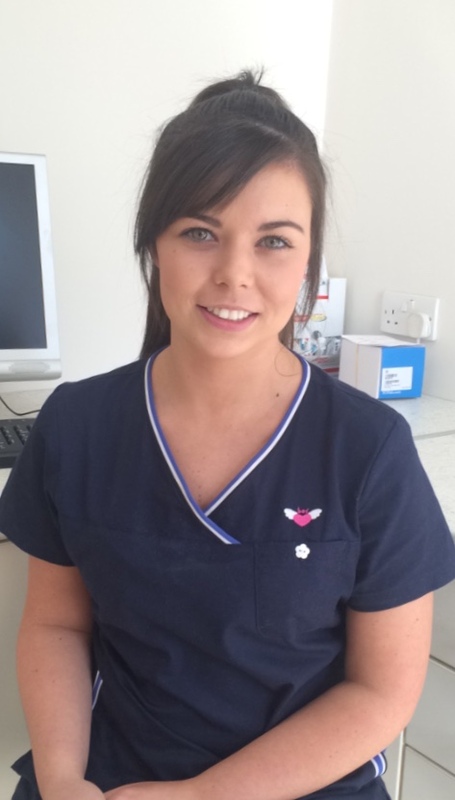 She continues to be an indispensable part of the Cork Dental Clinic Team. She displays excellent organisational skills and a is a specialist nurse to our visiting orthodontist Dr. Kevin O’Rourke. Outside of work Donna is a busy mother to her son and enjoys keeping active. Lisa graduated with a Dental Nursing Diploma at Cork University Dental School and Hospital in 2014. She joined Billy before graduation, having completed work experience throughout secondary school and college with us, and has become an invaluable member to the team. Her role comprises of assisting both Billy and his associate Peter in the specialist and general practices. Her organised nature led to her taking control of our accounts on Facebook, Instagram and both Specialist and General websites. Her caring rapport and winning smile make her a hit with patients and staff alike. 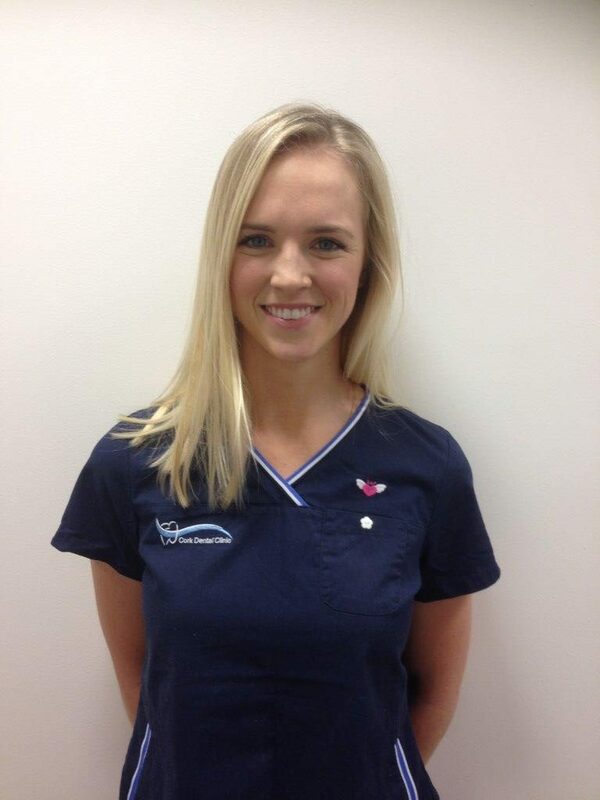 Sophie graduated with a Diploma in Dental Nursing from Cork University Dental School and Hospital in 2014. Having worked in a general practice for 2 years, she joined our team in March 2016. Her main nursing role is with Dr Waters in his specialist Dental Implant Clinic, located within the Cork Dental Clinic itself. 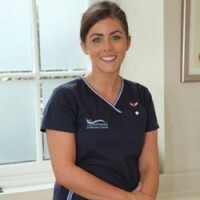 She also nurses with our visiting Oral Surgeon Dr Caroline McCarthy every Tuesday. Her attention to detail and ability to multi-task under pressure makes her a very valuable part of the team. Danielle graduated with a Diploma in Dental Nursing from Cork University Dental School and Hospital in 2017. She joined our practice shortly after graduation, having assisted Billy in the Dental Hospital during her training. Danielle is a jack of all trades, and works with all 4 dentists during each week. Even though she is our newest staff member, she has fit in perfectly with our team, and is now invaluable to the running of the practice. Grace Young graduated from UCC in 2000 with First Degree Honours and received the Castellini award for Best Clinical Exam. Grace then moved to Galway to gain specialist experience working in a periodontal surgery where she was involved in diagnosing, preventing and treating gum disease. Here, Grace gained the knowledge and expertise to treat periodontal disease and how to maintain implants and other types of restorative dentistry. A few years later Grace moved back to her home town of Cork, and joined Cork Dental Clinic where she fulfills her role as dental hygienist. 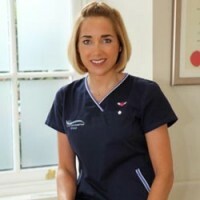 Having been in practice for 15 years, Grace’s main aim working with the patient to achieve high standards of oral care with the goal being an symptom free, healthy and beautiful smile. Grace finds her work as dental hygienist professionally fulfilling because it has a positive impact on the quality of people’s lives. Grace is a keen sports person, having spent time playing senior hockey with Cork Church of Ireland Hockey Club. Grace shifted her interest to cycling where she is know one of the top amateur female cyclists in Ireland. Grace also likes hiking, trail running and when time permits, to travel. 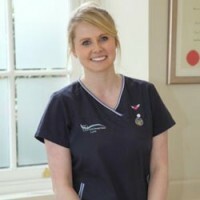 Sonya graduated as a Dental Nurse in 2009 from Cork University Dental School and Hospital. After spending a year dental nursing in a specialist clinic in Australia, she was inspired to further her studies from working closely with a Periodontist. She graduated with Honours as a Dental Hygienist in 2014 from Cork University Dental School and Hospital. Sonya joined our team in May 2016 and has been a wonderful addition to the practice. She has a keen interest in periodontal disease treatment and implant maintenance. She especially encourages nervous patients to attend, as her understanding and helpful nature makes for a pleasant experience. In 2015 she was a monthly contributor to Irish Dentistry Magazine, and regularly attends dental conferences and lectures. Outside of work, she enjoys keeping fit. ‘Our practice endeavours to provides the best standard in modern dental care through continuous professional development and training’.